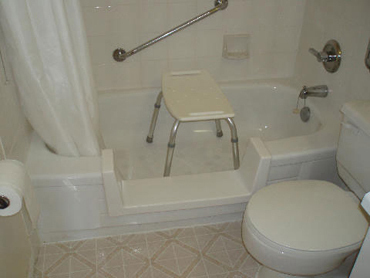 Having a little trouble getting into your bathtub? Wouldn't it be better if you could just step in? And a bathroom renovation is definitely not something you want to go through. So here's a thought, why not convert your existing tub into a step in shower it's the simple and affordable solution from Bathway - the tub cutting people. Tub to shower in just over an hour.